Buffet lunches, usually self-serve and starting with soup, featuring a variety of salads, meats and side dishes, and finishing with a selection of delicious desserts, are always a favourite with the local crowd. Atlantis has established itself as one of the top Sunday buffets on the island and we consider it a must-do for visitors. In fact it has become so popular that it is now offered on Wednesdays as well. At Atlantis, an experienced culinary team works mainly with fresh local ingredients to prepare dishes in the traditional West Indian style. 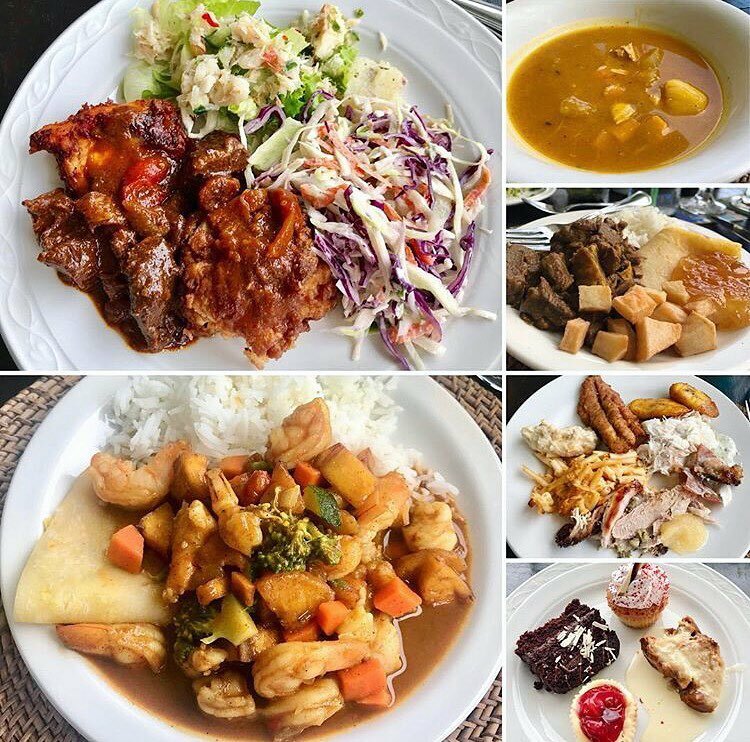 Some of our personal favourites include pickled green bananas, pumpkin fritters, fried plantain, pepperpot (a delicious meat stew), flying fish, mahi-mahi fish, baked chicken, 3 cheese macaroni pie, and peas & rice. If you have a sweet tooth you’ll love the wonderful desserts which typically include fresh fruit, bread pudding with traditional Bajan rum sauce, cakes and coconut bread. The buffets are all you can eat, with guests welcome to return for more of their favourite dishes or to sample anything they missed the first time around. This is a great option for family dining as the wide selection ensures that everyone will find something they enjoy. Children pay just half-price for the buffet. Reservations are strongly encouraged for these buffets and they book up fast!